SPOTLIGHT A place to celebrate the accomplishments of our current student body and DCN alumni! PRIYANA ACHARYA (DCN student 2002-2016, DCN Ballet Mastery Student 2012, DCN Professional Track student 2015-2016) is currently a Junior at Libertyville High School. While attending Joffrey Ballet's Summer Dance Intensive in 2016, she was offered a spot in their Ballet Academy's Pre-Professional Program in their highest level. She commutes to Chicago seven days a week and dances 23 hours per week in Ballet technique, Pointe, Character, Variations, Contemporary, and Modern. She is also one of six teen girls cast in Christopher Wheeldon's highly anticipated 2016 Joffrey Nutcracker. Priyana has attended Bolshoi Ballet Academy NYC (2015, on scholarship), Bolshoi Ballet Academy Connecticut (2014), & Milwaukee Ballet Pre-Professional program (2013). She also competed in the Youth American Grand Prix Chicago and placed in the top 24 and was highlighted on ABC's "Windy City Live" in their 'Most Talented Kids' segment in 2015, where she performed a live solo Ballet variation. 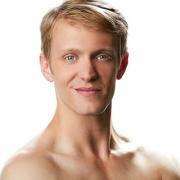 JAMES KOPECKY (DCN alumni) Born and raised in Lake Villa, James grew up dancing at Dancenter North. He trained in Ballet, Jazz, Tap, Modern, and Musical Theatre. After High School, James studied at Butler University. In 2010, he graduated with a BFA in Dance and was offered an apprenticeship at Ballet San Jose under the artistic leadership of Dennis Nahat. In his second season, James was promoted to Corps de Ballet. During his five years with Ballet San Jose, he was featured in a number of works including Paul Taylor's Piazzolla Caldera, Twyla Tharp's In The Upper Room and Jorma Elo's Glow/Stop. James is currently an artist with Charlotte Ballet, performing a versatile repetoire ranging from full-length classical ballets to innovative contemporary work. 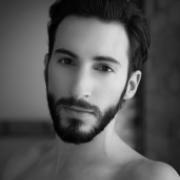 GARRETT GLASSMAN (DCN alumni) Originally from Gurnee, Illinois, Garrett Glassman received his BFA in Dance-Performance from Butler University, where he danced principal roles in The Sleeping Beauty, Coppélia, Flower Festival and George Balanchine's Walpurgisnacht. Upon graduating, he joined the Nancy Einhorn Milwaukee Ballet II Program and was featured in Michael Pink's Aubade, George Balanchine's Who Cares?, Maurice Bejart's Mozart Tango, and original works by resident choreographers Timothy O'Donnell and Petr Zahradnícek. Glassman appeared in the McCallum Theatre's 15th Annual Dance Under The Stars Choreography Festival in California, and at the Next Act Theatre as a member of NomadicLIMBS A Dance Collective. He has performed in Michael Pink's La Bohème, The Nutcracker, Swan Lake, Romeo & Juliet, Mirror Mirror, Don Quixote, Giselle, Cinderella, and in Garrett Smith's Mortal Form. This is his second season with Milwaukee Ballet. KATHLEEN MARTIN (DCN alumni) Ms. Martin is originally from Grayslake, IL and is now in her sixth year as a professional dancer. She joined Ballet San Antonio in 2015 and was quickly promoted to soloist for the 2106 season. She had an outstanding season last year performing in the annual Nutcracker, where she danced the role of the Sugar Plum Fairy and the Snow Queen. In Peter Pan, she carried the role of Tiger Lily. And later in the season, she dazzled audiences with Tropical Fiesta, a work created especially by Artistic Director, Willy Shives for San Antonio. Prior to coming to San Antonio, Kathleen danced wtih Ballet West's second company. While with Ballet West, she originated the principal role of The Little Mermaid. Ms. Martin starred in the BBC Worldwide production of "Breaking Pointe", a documentary-drama featuring the lives of modern day ballerinas. Kathleen continues to be a principal guest artist with A.V.A. Ballet Theater based in Reno, NV and is on faculty for The Jillana School Summer Intensive Program, focusing on Balanchine technique and style. Ms. Martin was the interim ballet mistress for True Dance Academy out of Lincoln, NE.